Shales – also known as tight gas and oil – will continue to play an important role in meeting global energy demand. We remain focused on producing oil and gas from shales safely and responsibly, using advances in technology and by following our onshore operating principles. 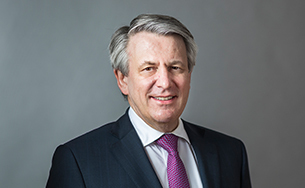 We are involved in six shale plays in the Americas and expect the shales business to become a significant growth priority for Shell in the next decade. In 2018, we focused on production growth at the SWEPI LP (a subsidiary of Shell Oil Company) light tight oil facilities in the Permian Basin in the USA and our facilities at Fox Creek in Canada, bringing new wells online and investing in supporting infrastructure. Addressing air quality and fugitive emissions is a top priority in our shale operations. Our approach includes voluntary methane leak detection and repair programmes, primarily using optical gas imaging cameras (see Methane emissions). 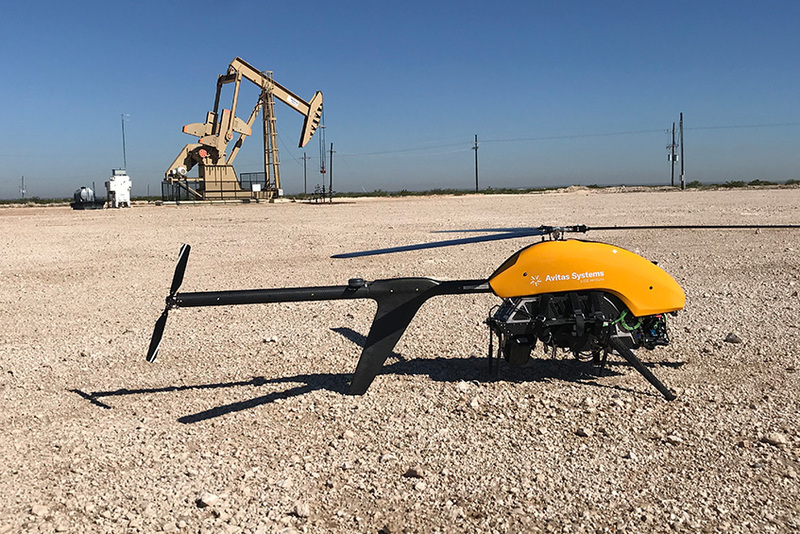 Shell is testing drones in the Permian Basin to survey infrastructure across vast stretches of land faster than ever before. In 2018, Shell and its partner Avitas Systems, were the first in the USA to gain approval for flying commercial drones beyond visual line of sight with the support of radar, which enables next generation detection technology such as surveillance drones. Drones use onboard sensors and cameras to collect data. They can allow us to automate tasks, including detecting oil and gas leaks, corrosion, abnormal heat signatures, and monitoring road conditions. They also mitigate significant risk to personal safety by reducing the road exposure of our operations teams and providing better insight into the overall condition of facilities. This could enable teams to proactively identify issues and fix them faster, while also reducing safety exposure. 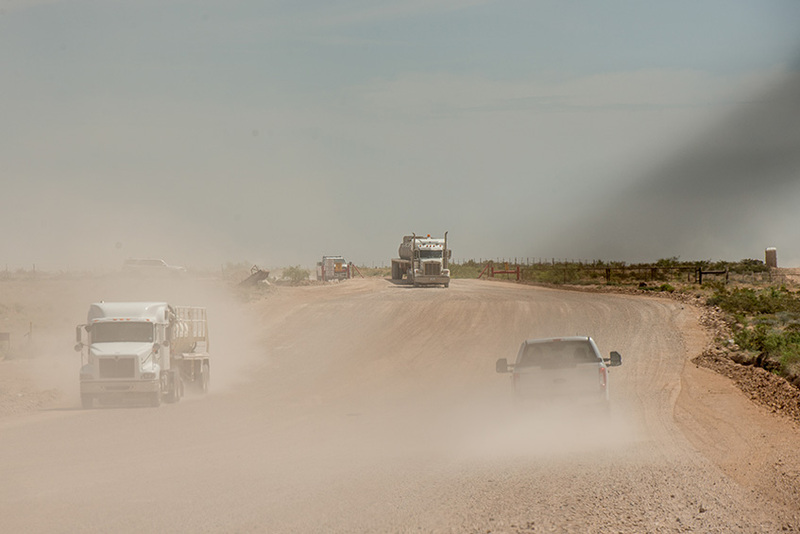 Rising oil and gas production activity in recent years in the Permian Basin has led to increased traffic and more serious accidents and fatalities. The shale revolution has transformed the Permian region, bringing thousands of oil and gas workers and causing a massive spike in traffic. As a founding member of the Permian Road Safety Coalition, we successfully advocated and helped secure $1.8 billion in funding from the Texas Department of Transportation to help find ways to reduce risks on the roads. This work includes agreeing to policies such as lowering the 75 mile-per-hour (120km/hour) speed limit, widening roads and constructing passing and turning lanes to minimise conflict points prone to crashes. Read more about this ongoing work at www.shell.com/permian-basin-road-safety. In 2018, Shell also collaborated with 16 energy companies that together pledged to set aside $100 million over the next few years to ease the increase in demand for roads, healthcare, education and affordable housing from the rising shale activity in West Texas and New Mexico. The aim is to preserve the quality of life that make so many want to live and work in the region. 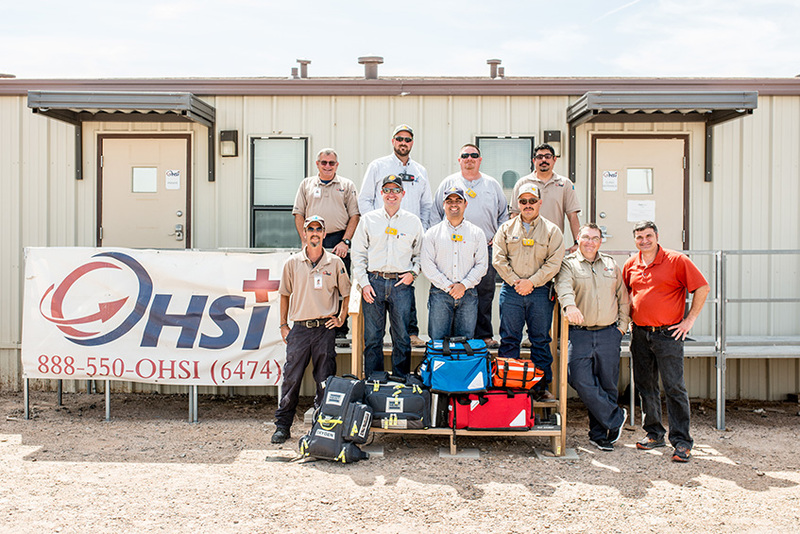 Shell has provided funding and support for medical clinics in the Permian region. Many of the operations in the Permian region are two or more hours away from hospital services. 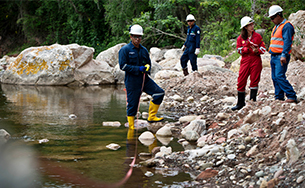 We have worked for several years to improve water management at our shale facilities in Canada. 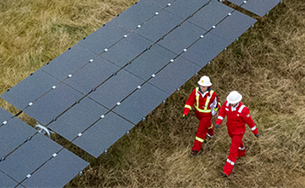 At Shell's Groundbirch project, in British Columbia, we minimise the use of fresh water by storing, recycling and reusing produced water (see Delivering natural gas in Canada). At Fox Creek, Alberta, we also agreed with the municipality to use treated waste water for hydraulic fracturing and the municipality helped upgrade the town’s reclaimed water facilities. For more details on our approach, see Water use. In 2018, we held extensive engagement sessions with indigenous people, local farmers, and nearby communities in the Vaca Muerta shales basin in Neuquén, Argentina. This included training programmes for local community members interested in joining the industry and a programme that promoted livestock production and farming, and helping local farmers gain better access to water. Through this outreach, we have managed to develop strong relationships with the community in the basin, avoiding impact on other people and disruption to our activities.